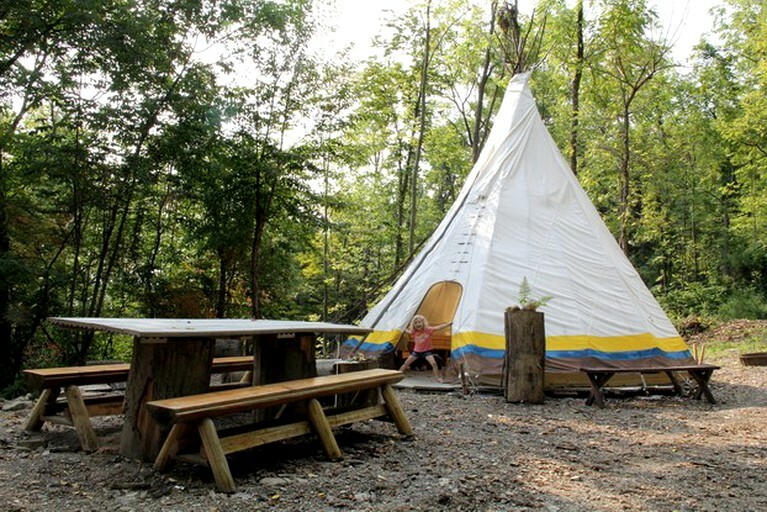 Set in the Finger Lakes Region of New York, this 18-foot tipi rental comes set with a full interior deck and can sleep up to six adults or 12 children. There is one full-size futon that can sleep two and up to four additional single air mattresses are available upon request. 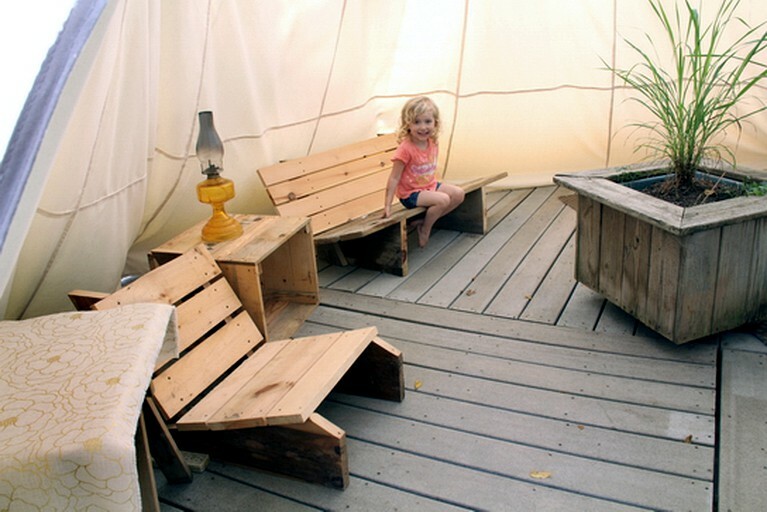 Inside, guests will enjoy having primitive furniture, an electrical outlet, and decorative lights. 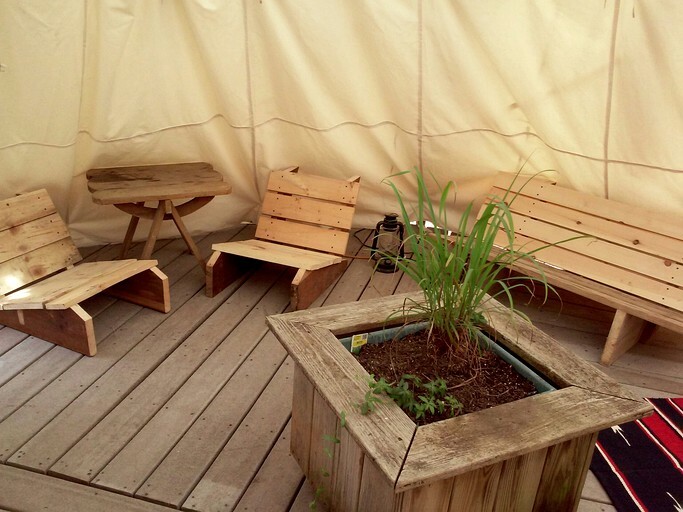 Outside, guests will find a picnic table, a campfire ring, and a cooking grill that sets over a ring. Bathrooms and shower facilities are found in the shared lodge on-site. The main lodge offers table and chairs for up to 24 guests. 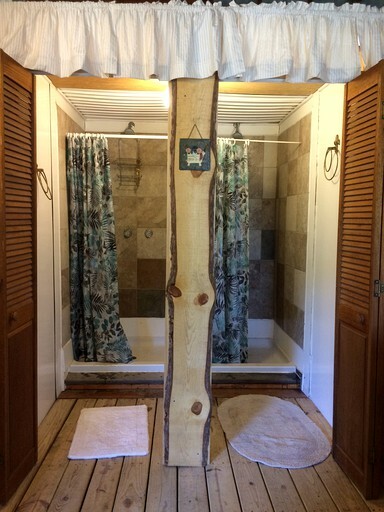 The showers and bathroom are located in the lodge. 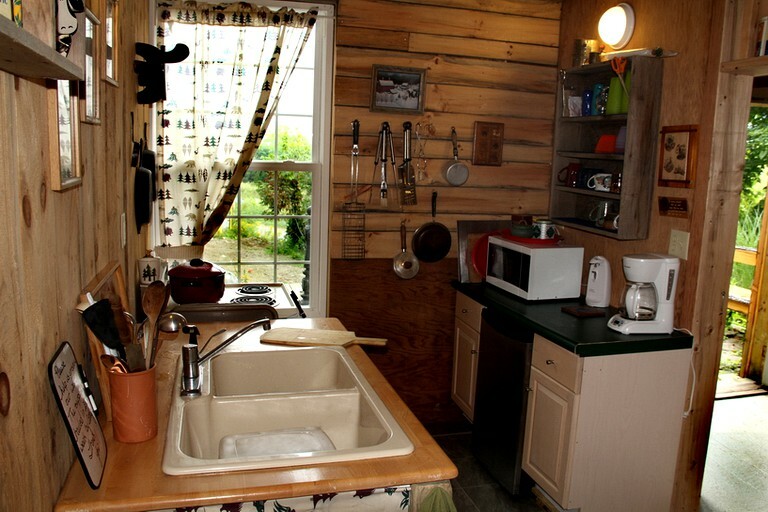 In the lodge kitchen area, In the kitchen guests will find a microwave, a refrigerator, a coffee maker, stove, oven, and a variety of houseware items for guests' use. 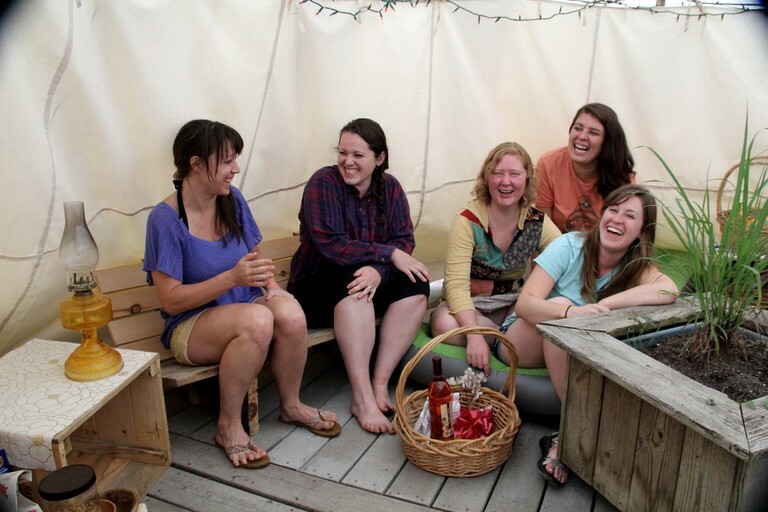 Guests will also have a variety of yard games and board games at their disposal. 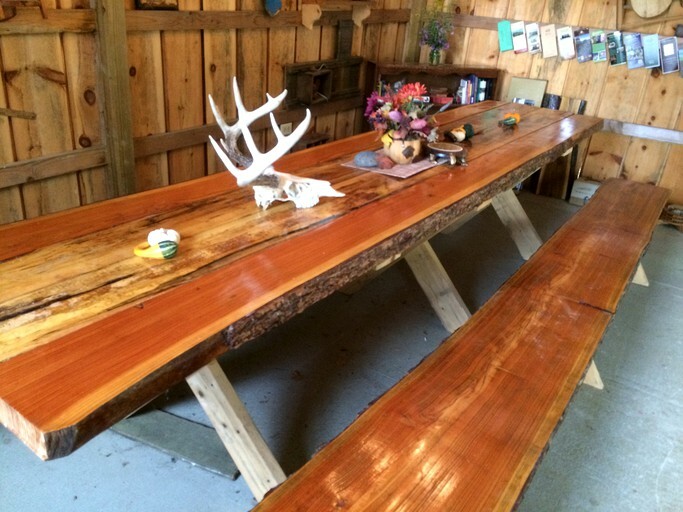 Behind the lodge, there are several picnic tables, horseshoe pits, and a firewood station. The host will provide guests with blankets, pillows, and linens. 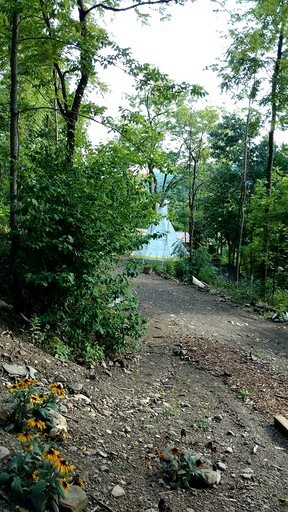 Glamper will also have garbage bags, a flashlight, firewood, dish soap, and tableware for meals, as well as tourist information and maps provided. 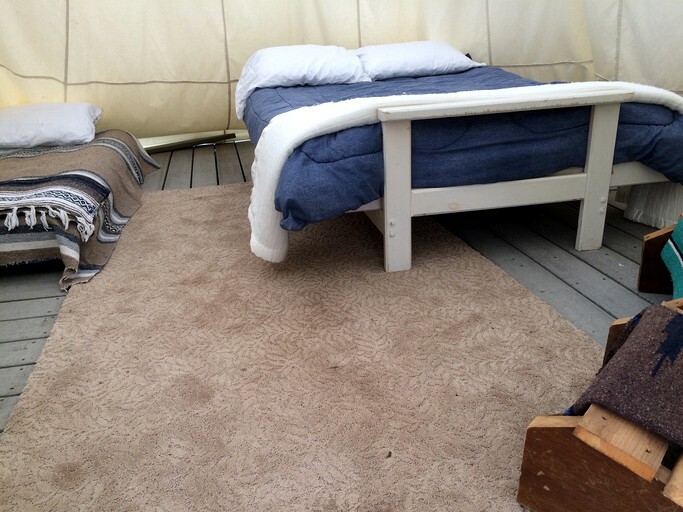 Outside each cabin, guests will find a picnic table, a barbecue grill, and a campfire ring. There is also free parking available to guests. Catharine serves coffee each morning in the lodge. This gives guests an opportunity to get tourist info and maps. The "Happenings" board will alert guests to local events and any weather concerns during their stay. 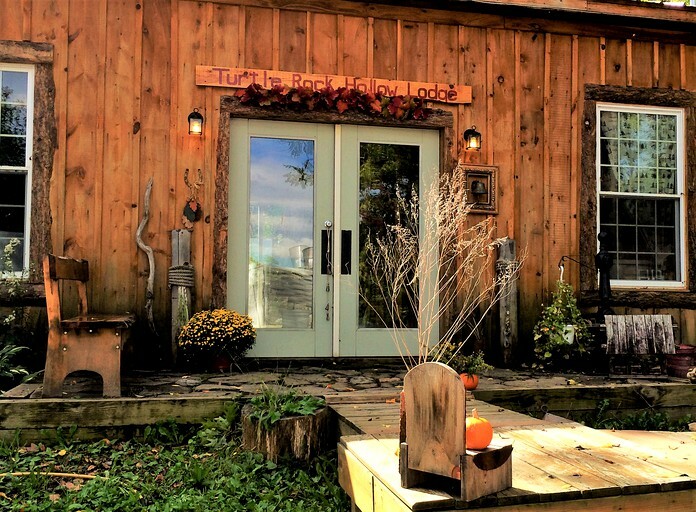 This property is set in Honeoye, in the Finger Lakes region of Upstate New York. The surrounding 43-acre property provides hiking trails into wetlands and plenty of beautiful hillside areas. 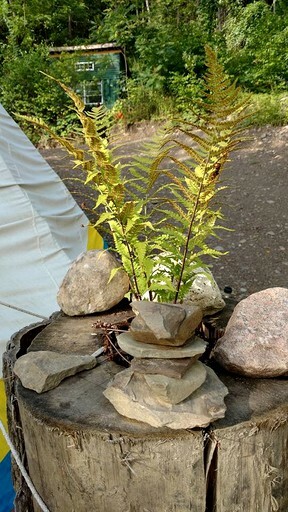 Set near Honeoye Lake, one of the smaller of Finger Lakes, guests are invited to refresh and recharge by retreating into their natural surroundings. 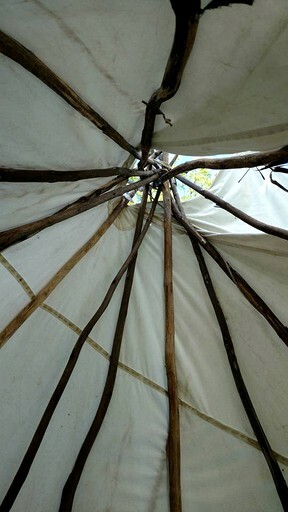 This property offers many different options to stay in, from spacious tipis to rustic cabins. Honeoye Lake, Canadice Lake, Conesus Lake, Hemlock Lake, and Canandaigua Lake are all within a 15-minute drive. Some of the favorite outdoor activities in this area include riding bikes around the lake, paddling one of the many nearby lakes, natural photography, touring one of several local wineries or breweries, viewing the starry night skies, and hiking to the waterfall nearby. Guests can rent/launch their kayak or canoe just four and a half miles to either Honeoye or Canadice Lake. 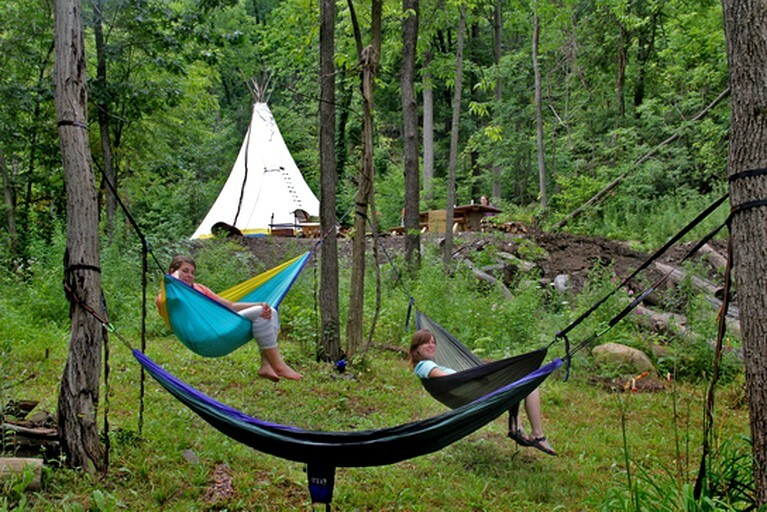 If a hammock and a good book are what guests are looking for, they can find it here as well. Year round this area offers a vast array of events, activities, and festivals. The Rochester International Jazz festival tops the list. 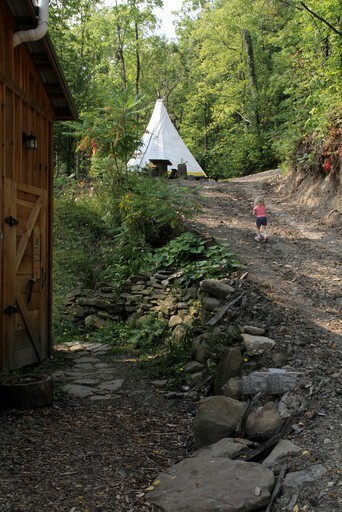 This area is home to hundreds of events and festivals, and guests can find out more information from the following organizations and activities: Finger Lakes Tourism Alliance, Life in the Finger Lakes, Corning Museum of Glass, Letchworth State Park, Grand Canyon of the East, Wesley Hill Nature Preserve, Cummings Nature Center, Finger Lakes Visitors Connection, Canadice Lake Outfitters, Finger Lakes Wine Country, Honeoye Lake Area Chamber of Commerce, I Love New York, Finger Lakes Travel, Bristol Valley Theater, and the Canadice-Hemlock hiking trails. Guests are advised to bring towels, insect repellent, hiking shoes, charcoal for cooking, and grilling utensils. This property is pet-friendly and does not require a pet fee. Holiday weekend stays require a three-night stay.